Should You Use LED or CFL Bulbs? When you are creating a new lighting design for your home, you will typically have a choice between CFL or LED lighting. In this video, you will receive a comparison of CFL and LED bulbs. One of the top reasons to choose LED lighting is that is that LED light bulbs use about half of the electricity of CFL bulbs. 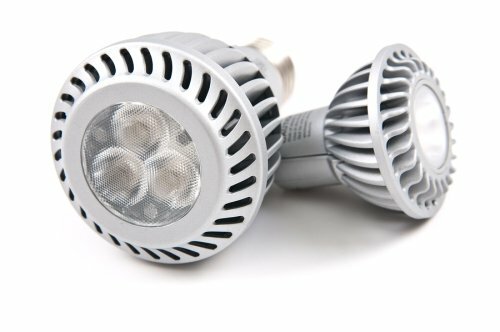 A company that sells eco friendly lights in San Jose can answer your questions about the benefits of LED lighting. If you have recently decided that you are ready for a new lighting installation in your home , be sure to hire an experienced lighting contractor. By working with the professionals to create your lighting design, you will be able to reduce your electrical consumption and improve the ecological footprint of your household. If you’re like most homeowners, then you’re eager to embrace technologies and products that can make your home more efficient and lower your energy costs. 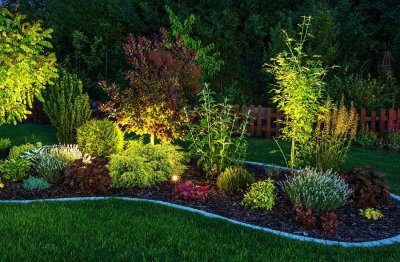 If you’re in need of outdoor lighting, then continue reading to learn why you should use LEDs in San Jose to illuminate your landscaping. If you currently use incandescent or fluorescent lights to brighten your property at night, then you may find yourself replacing your bulbs as frequently as every few months. If you have more than a few lights in your landscaping, then this can end up being a time-consuming chore. Also, replacing light bulbs this frequently can add up to significant costs over the course of a year. LEDs, on the other hand, can last well over a decade, even if used overnight for 7 days a week. This vast difference in lifespan is often reason enough for homeowners to make the switch to LED bulbs. When someone wants to make a switch to eco-friendly lighting, experts consistently recommend replacing old bulbs with LEDs. This is because LED lighting requires less energy to generate the same number of lumens, or light sources, as fluorescent and incandescent bulbs do. For this reason, installing LEDs in your landscaping can cut your outdoor lighting costs by more than half and, at the same time, reduce your household’s carbon footprint. As a bonus, LEDs are environmentally friendly when compared to fluorescent bulbs because they do not contain harmful mercury. In addition to their long lifespan and energy-efficient nature, LED bulbs boast several excellent qualities that make them a practical choice for many homeowners. First, because they last for so long, you won’t need to hire a professional as often to come and change out bulbs that are in difficult-to-reach areas of your landscaping. Also, because LEDs are available in a wide range of colors, you can find ones suited to your home’s style and landscape design. Finally, LEDs can do a better overall job of illuminating your outdoor areas when compared to traditional bulbs. LED lighting is becoming increasingly popular among homeowners, and when you consider their many benefits, it’s no surprise why. LED bulbs come in many colors, last a long time, and require less energy than traditional options. Furthermore, LEDs can be used in battery operated lighting, meaning that you can conveniently place them just about anywhere you can imagine. If you’re wondering if you could benefit from battery operated light bulbs in San Jose, then there are many places in your home where LED lighting specialists might recommend for their installation. Any place in your house where you typically need to use a flashlight is a prime candidate for battery operated lighting. Some examples would be in storage sheds, garages, closets, crawlspaces, and attics. Also, installing battery operated LED bulbs under kitchen cabinets, kitchen sinks, and bathroom vanities is also a popular option. If there is a place in your home that you’ve wished had electrical wiring and light fixtures, then these are areas that could benefit from battery operated lighting. Because they are unsure of what’s involved with a fireplace conversion and are hesitant to start a lengthy project, it’s not uncommon for homeowners to put off this type of upgrade season after season. The good news is that this process can be completed quickly. 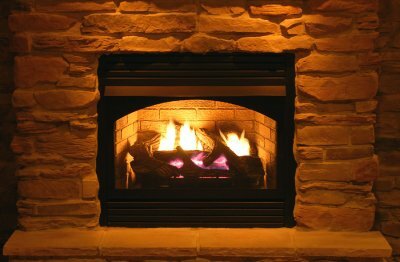 When you choose to work with an experienced contractor, you can expect to have your wood burning fireplace converted to a gas burning one in just a short span of time and with minimal mess and disturbance. The gas logs that are available today can be indistinguishable from actual wood. Made from hand-cast logs and including glowing embers, these fireplace options provide you with a fire that looks realistic and gives the impression of burning wood. Also, converting your fireplace to gas allows you to keep the look of the fireplace that you love while eliminating the hassle involved with a wood burning one. Once the conversion process is complete, there are several features that you can expect to enjoy. First, you’ll no longer have to buy firewood, haul it inside, and clean up the mess that it leaves in your car and on your floors. Also, there will be no need to prepare your fireplace with kindling and wood to enjoy a fire; instead, you’ll simply turn a switch and light a match. Similarly, extinguishing the fire requires only the turn of a knob, with no need to ensure that every ember is out. Due to the lack of mess and ease-of-use that you’ll enjoy with your new fireplace, you will probably use it more often and wonder why you waited so long to make the change.